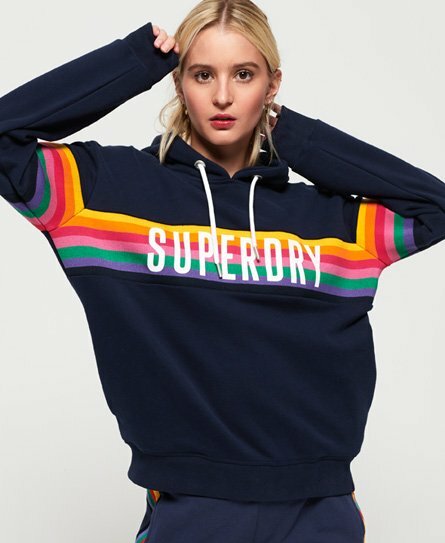 Superdry women's Carly Carnival lite hoodie. This overhead hoodie features a drawstring adjustable hood, two pockets in the side seam and ribbed cuffs and hem. This hoodie also features a panelled design across the chest and sleeves with striped detailing and a textured Superdry logo. Completed with a Superdry logo tab on the hem and hood.